Sascha Paladino, Ford Riley and Tom Warburton are this week’s guests for the Life of Dad Show Remix. This episode of The Life of Dad Show Remix takes a look at three dads who produced or directed animated shows that are family friendly. We talk with Sascha Paladino, Ford Riley and Tom Warburton. These interviews were from previous episodes of The Life of Dad Show and highlights their conversations on fatherhood. Leave a review on iTunes or wherever you download the podcast for a chance to win a Life of Dad prize pack! Emmy-nominated writer and producer is the creator and executive producer of Disney Junior’s Miles from Tomorrowland, an intergalactic animated series that follows the outer space voyages of young adventurer Miles and his family as they help connect the universe on behalf of the Tomorrowland Transit Authority. An accomplished children’s television writer, Paladino was most recently story editor and consulting producer on Disney Junior’s Henry Hugglemonster. Paladino developed and served as head writer and producer for Nickelodeon’s Ni Hao, Kai-lan. 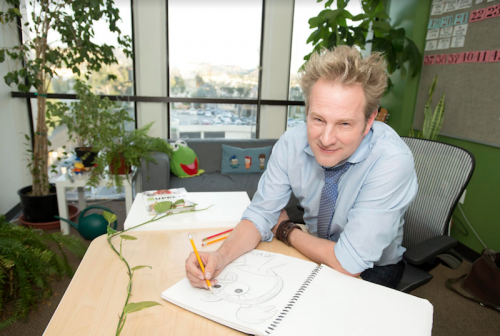 His additional writing credits include Disney Junior’s acclaimed Doc McStuffins, Team Umizoomi, Wonder Pets, Winx Club, Tickety Toc, Blue’s Clues and Sid the Science Kid. Paladino currently resides in Los Angeles with his wife, author Erin Torneo, and their five-year-old twin boys. Ford Riley developed and serves as executive producer of Disney’s The Lion Guard. 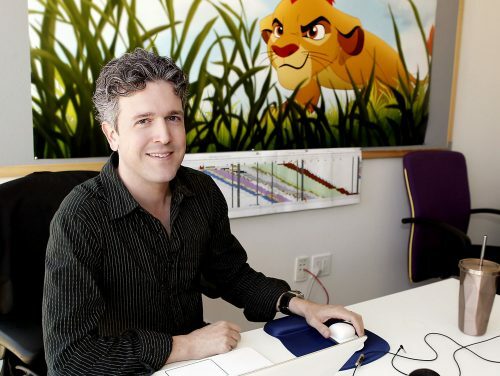 Prior The Lion Guard, Riley created and served as executive producer on Disney Junior’s Emmy-nominated animated series Special Agent Oso. His additional credits include Doc McStuffins, Higglytown Heroes, Teamo Supremo, Teacher’s Pet, and Recess. Riley also developed the television series Land Before Time, and wrote for Harmony Gold’s Robotech: The Shadow Chronicles, helping to revive the franchise after twenty years. A native of Pittsburgh, Pennsylvania, Riley attended the prestigious Tisch School of the Arts at New York University, where he studied playwriting, film and theater. Riley is an active member of Talk About Curing Autism (TACA), a national organization dedicated to providing information, resources and support to families affected by autism. 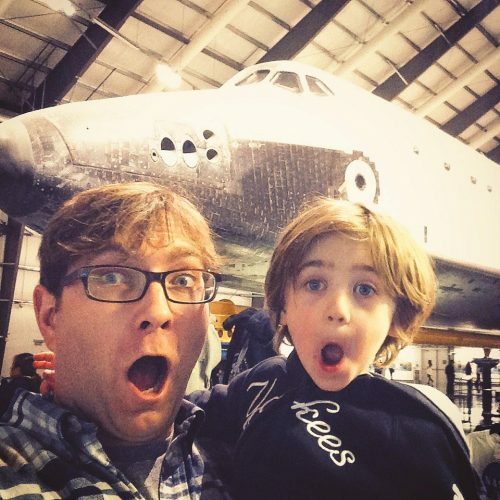 He resides in Glendale, California with his wife, Holly, and their two children. Tom Warburton is the executive producer of Disney Junior’s reimagined Muppet Babies television series, which chronicles the hilarious playroom antics of the young Kermit the Frog, Piggy, Fozzie Bear, Gonzo, Animal and brand-new Muppet Baby, Summer Penguin. Often credited as Mr. Warburton, he is best known for creating the hit animated series Codename: Kids Next Door. He is also a frequent collaborator with Caldecott Medal Award winner and New York Times best-selling author/illustrator, Mo Willems. Together the two have co-authored two books, including the recently released We Are in an ART-ivity Book! (An Elephant and Piggie Book). The duo have also worked together on several television series including Sheep in The Big City. He currently resides in Los Angeles with his wife and sons, Parker and Kelley, who he has been creating custom, illustrated lunch bags for since 2013. Follow Tom on Twitter at @misterwarburton and his Instagram at @lunch_at_warburtonlabs.